Derk was riding his motorcycle on a summer day in 2015 when he was struck by an out of town driver who ran a stop sign. He endured 16 surgeries attempting to salvage his severely damaged right leg before ultimately taking the advice of doctors and allowing them to amputate below the knee. 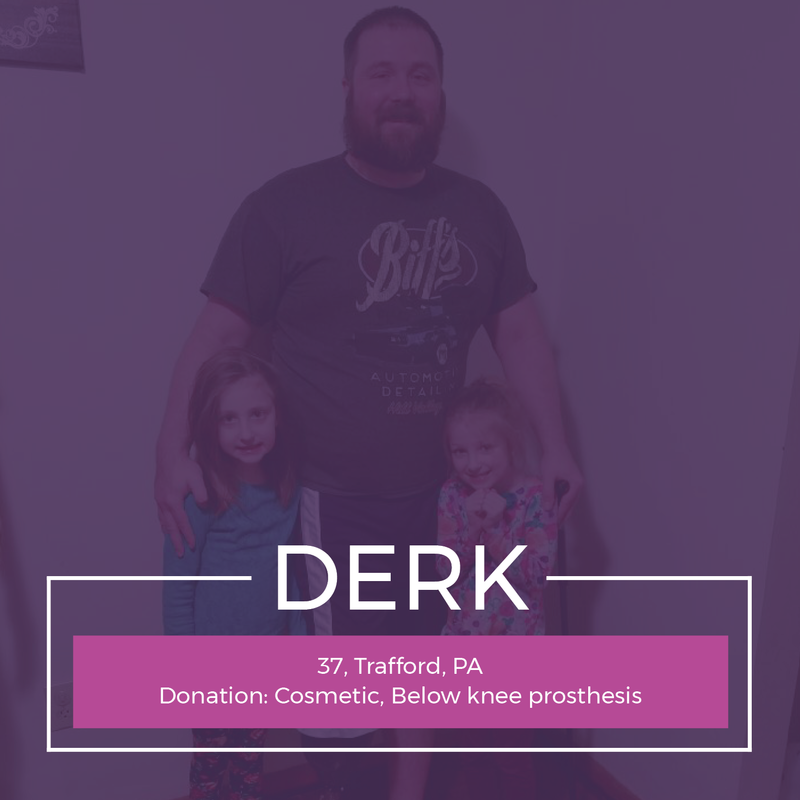 Derk and his family received limited settlement money from the other driver’s insurance company; not enough to cover the cost of his medical bills an supplement the income he lost when he was forced to leave his job. Although his health insurance company did cover part of the cost of his prosthesis, he was still left with a hefty co-payment.